The easy-to-use customer engagement platform that’s revolutionizing interactions between commodity-focused companies and their clients. The future of commodity trading companies’ business-to-business interactions is allowing clients on-demand access to business tools and processes 24 hours a day. Rapidly changing expectations make it imperative for clients to quickly access, analyze and make decisions based on ever-changing information. It’s time to empower customers and revolutionize the way business is done. Gravitate’s customer-engagement platform provides your clients with a personalized self-service CTRM portal that allows them to login from anywhere to monitor prices, view contracts and access other transactional data at the touch of a button. Deliver web-based dashboards and interactive charts with tailored information for each contact that your business interacts with. Provide quick access to lifting information, contract performance and invoice details online to your clients. Should there be any issues with invoices, Gravitate provides online dispute resolution and also automatically reminds customers by email when their invoices are due. Stay in touch with your clients by using Gravitate’s built-in notification system that delivers personalized emails and text messages to alert clients of price changes, contract lifting requirements and weekly summaries. Information from CTRM systems can be easily integrated to Gravitate using our data-extraction tools and patterns. The data-extraction tools utilize the ETL pattern which consists of Extracting, Transforming and Loading data into Gravitate. Information can be sent from multiple sources with disparate frequency to meet business requirements. Out-of-the-box integration with CTRM systems like RightAngle and Allegro. Integrates with ERP systems like SAP, Oracle and Great Plains. Connects with real-time price feeds from GlobalView, Zema, and more. The guiding principle of the Gravitate system’s architecture is flexibility. Whether it’s the need for scale or the need for customizations, our approach with Gravitate is designed with the enterprise in mind. We created a rich web-based user experience focused on simplicity and design standards that make Gravitate both user- and technology-friendly. For the user, we built a theme-able presentation layer to allow a streamlined user experience and a highly configurable notification architecture. For the technology, we utilize a .Net, N-Tier technology stack providing advantages such as standardization, extensibility, scalability and a mobile-friendly footprint. Gravitate’s CTRM portal dynamic menu structure is 100% configurable. Menu items can be added, removed, renamed or re-ordered, and can connect with user profiles to easily support diverse commodity groups in a single instance of the Gravitate CTRM Portal Platform. Gravitate's customer engagement platform provides your clients with a personalized self-service CTRM portal that allows them to login from anywhere at any time! Gravitate helps a number of NGL companies stay connected with their customers by leveraging our next-generation platform that delivers real-time data to their clients. Since CTRM portal technology is quickly becoming the new best practice for collaboration between commodity trading companies and clients, all commodity trading organizations should be looking to offer online access to essential data, such as real-time prices, bills of lading and invoices. Commodity portals aren’t simply a transparent way to execute business; they are also virtual marketers that help drive customer traffic. 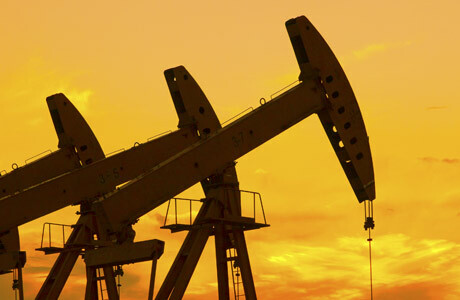 Drives significant process efficiency across the entire lease-crude life cycle. Enables producers to review and dispute tickets during the month to avoid crunch time before the 20th. Provides marketers and dispatchers with critical insights and performance metrics that will drive better decision-making. Provides third-party haulers with tools and analytics to drive performance and have more timely information. Gravitate helps a number of Refined Products companies stay connected with their customers by leveraging our next-generation platform that delivers real-time data to their clients. Since CTRM portal technology is quickly becoming the new best practice for collaboration between commodity trading companies and clients, all commodity trading organizations should be looking to offer online access to essential data, such as real-time prices, bills of lading and invoices. Commodity portals aren’t simply a transparent way to execute business; they are also virtual marketers that help drive customer traffic.